I recently sat for a video interview with ECP Communications to revisit the big-picture perspective of why, how, and what we’re doing to pursue our mission. We talk, in general terms, about the teams, the projects, and the co-design centers; and the magnitude of what’s required relative to hardware, particularly considering the uptick during the last 4 or 5 years in artificial intelligence, machine learning, and deep learning. As a reminder for some—and new information for those whose interest in ECP has only recently been piqued—we clarify what is within ECP’s scope and what isn’t. Finally, our video chat will provide you with highlights of ECP’s progress since the first of the year and some of the key areas with which we’ll be concerning ourselves during the rest of 2018. With respect to progress, marrying high-risk exploratory and high-return R&D with formal project management is a formidable challenge. In January, through what is called DOE’s Independent Project Review, or IPR, process, we learned that we can indeed meet that challenge in a way that allows us to drive hard with a sense of urgency and still deliver on the essential products and solutions. In short, we passed the review with flying colors—and what’s especially encouraging is that the feedback we received tells us what we can do to improve. Moreover, we found that what the reviewers said was very consistent with our own thinking. Undoubtedly, the IPR experience represented a key step forward for us. We’ll be going through an IPR at least once a year, and that’s a good thing because we believe external scrutiny of what we’re doing and how we’re doing it is important and useful. I also highlight successes we’ve had in our three research focus areas: Application Development (AD), Software Technology (ST), and Hardware and Integration (HI). But at this point, I also want to note that each of ECP’s focus area directors recently participated in audio interviews to share their up-close perspectives that you can listen to via this newsletter in the Focus Areas Update section; their associated discussion points are also posted for you to read. We’ve made significant headway in identifying key AD and ST products. AD has demonstrated effectiveness by releasing a number of applications over the last several months while also developing deep-dive algorithms and models. The ST effort, with relatively new leadership, has been moving from R&D to product development and deployment. ST has a good plan for packaging our various-size components into bite-size chunks of software that the DOE laboratories will consume, integrate, and test. 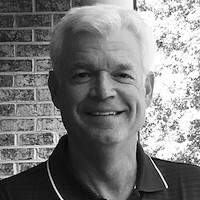 The scope of Hardware and Integration (HI) includes support for US vendor research and development focused on innovative architectures for competitive exascale system designs (PathForward), hardware evaluation, an integrated and continuously tested exascale software ecosystem deployed at DOE facilities, accelerated application readiness on targeted exascale architectures, and training on key ECP technologies to accelerate the software development cycle and optimize productivity of application and software developers. In the HI PathForward activity, which funds US vendor R&D for nodes that are tuned for our applications and system designs, the vendors have been hitting milestones on schedule and on time. We are feeling very optimistic that the vendor R&D will appear in key products in the exascale systems when they’re procured. ECP supports all of the key program offices in DOE (Office of Science, applied offices, NNSA Defense Programs), and so our incredible teams are engaged in several main categories of applications research. Examples of some of those categories are national security, energy, fundamental materials and chemistry, scientific discovery, and data analytics. For national security, we’re developing next-generation applications in support of the NNSA’s stockpile stewardship program, namely reliability testing and maintenance of U.S. nuclear weapons without the use of nuclear testing. In energy, our work is centered on fission and fusion reactors, wind plants, combustion for internal engines and land-based gas turbines, advanced particle accelerator design, and chemical looping reactors for the clean combustion of fossil fuels. The chemistry and materials category is looking at everything from strongly correlated quantum materials to atomistic design of materials for extreme environments to advanced additive manufacturing process design. Our researchers in additive manufacturing are endeavoring to understand that process essentially to allow the printing of qualified metal alloys for defense and aerospace. On the chemical side, a great example of what we’re doing is catalyst design. We’re also addressing the very foundations of matter via the study of the strong nuclear force and the associated Standard Model, which is among the most fundamental focus areas of nuclear and high-energy physics. Our earth and space science applications include astrophysics and cosmology (e.g., understanding the origin of elements in the universe, and understanding the evolution of the universe and trying to explain dark matter and dark energy). Other key applications include subsurface, or the accurate modeling of the geologic subsurface for fossil fuel extraction, waste disposal, and carbon capture technologies; developing a cloud-resolving Earth system model to enable regional climate change impact assessments; and addressing the risks and response of the nation’s infrastructure to large earthquakes. Within the data analytics category, we have artificial intelligence and machine-learning applications focused on the cancer moonshot, which is basically precision medicine for oncology. We’re also investigating metagenomics data sets for new products and life forms. We are also focused on optimization of the US power grid for the efficient use of new technologies in support of new consumer products and on a multiscale, multisector urban simulation framework that supports the design, planning, policies, and optimized operation of cities. Another facet of our data analytics work involves seeing how we can extract more knowledge from the experimental data coming from the DOE Science facilities. Our study is focused on SLAC’s Linear Coherent Light Source (LCLS) facility, but we are committed to helping myriad facilities across the DOE complex in terms of the streaming of data and trying to determine what’s in it and how we can drive experiments or computationally steer them to give us more insight. ECP aims to be a thought leader and provide direction, whether the subject is programming next-generation hardware or designing models and algorithms to target certain physical phenomena, for example. We know we must interface with industry—from small businesses to large corporations—to avoid missing functional requirements that are important to them. That’s why we stood up ECP’s Industry Council to work with us as an external advisory group. It is really helping to guide us concerning the challenge problems we’re addressing. The council gives us advice on whether the applications we’re tackling can be leveraged in their environments and, if not, how we can move in that direction. We meet with the council every couple of months to discuss the status of progress and where ECP is headed to ensure it will best fit the needs of US industry. ECP must adhere to a very aggressive schedule, and I believe we are, and with the proper sense of urgency. The schedule is not only extremely dynamic but also abounding with risks. We can, however, unassumingly say that we are on track because we rigorously monitor the work to a granular level. To help us perform the tracking, we use tools called the schedule performance index and the cost performance index. Some projects have higher risk and more technical challenges than others, and that’s understandable. We rely heavily on our project office and our leadership team to understand what the risks are—both the known unknowns and the unknown unknowns. I believe that within the next year or so as we learn more about the first three exascale systems deployed in this country, a lot of our risks will either be retired or moved into the known unknowns category, which we can mitigate with our project’s use of contingency. We execute according to a certain funding profile, and so we hope that our DOE sponsors will be able to deliver on what we believe is the funding profile necessary for success. Another very important consideration for us is ensuring that the right programming models are available for the hardware, from both the software stack and the applications sides of ECP, so that the heterogeneity of the memory and the CPU hierarchy in the exascale systems can be optimally exploited. Workforce development is a risk as well. We have been fortunate to be able to staff our project teams with some of the best and brightest in the world. Ensuring they’re working on problems that are fun and challenging so they’ll stay with us is very important. These scientists and engineers are arguably among of the most marketable people anywhere, so they’re really in high demand outside of ECP. One other especially notable risk is ensuring that the US vendors deliver with the hardware and low-level software we need for our applications. The PathForward project allows us to inject resources for crucial vendor R&D. Through PathForward partnerships, we can pull in products sooner so we can extract the product quality and efficacy we need more quickly. Last year we executed the first of what will be an annual deep dive assessment of our AD and ST efforts, and so we’ll conduct our next one this year. We will engage external subject matter experts in that process, and we expect to see applications have fairly well-defined quantitative metrics for the performance parameters. The AD teams have laid out challenge problems of national interest that they plan to address on the exascale systems. Quantifying those challenge problems involves determining exactly what they are in terms of speeds and feeds on the system, and we believe we’ll be able to better clarify those numbers. On the ST side, we’ll examine what we call impact goals and metrics, which describe who is using a software component, whether the component is installed at a facility, and, if so, whether a line of sight to the facility or to an application is in place. Having that line of sight is crucial to proper integration. Finally, we anticipate dozens of more milestones to be completed by the end of the year that most definitely inform what we believe are exciting responses to the exascale Request for Proposals. ECP has the job of ensuring the vendors’ R&D is in a good place to propose exciting products for the exascale platform, and we’re working very hard to make that happen. You may know that the ECP has been cited numerous times by the US Department of Energy (DOE)—by Secretary Perry, in fact—as one of DOE’s highest priorities. This is not only incredibly exciting but also a tremendous responsibility for us. There are high expectations for the ECP, expectations that we should not just meet—I believe we can far exceed them. All of us involved in this project are undoubtedly believers in the value and imperative of computer and computational science and engineering, and more recently of data science—especially within an exascale ecosystem. Meeting and exceeding our goals represents a tremendous return on investment for US taxpayers and potentially for the nation’s science and technology base for decades to come. This is a career opportunity for everyone involved. I would be remiss if I were not to thank—on behalf of all of us—Paul Messina, our inaugural ECP director. His experience and expertise have been invaluable in moving ECP through an admittedly difficult startup. The ECP is, after all, an extremely complicated endeavor. His steady hand, mentoring, and leadership, from which I benefitted first hand as the Application Development lead, have been vital to the project’s early successes. We will miss Paul but will not let him “hide”—we’ll maintain a steady line of communication with him for advice, as a sounding board, etc. Thanks again, Paul! As we focus our research teams on years 2 and 3 of the ECP, we must collectively and quickly move into a “steady state” mode of execution, i.e., delivering impactful milestones on a regular cadence, settling into a pattern of right-sized project management processes, and moving past exploration of technology integration opportunities and into commitments for new integrated products and deliverables. We are not there yet but will be soon. Some of this challenge has involved working with our DOE sponsors to find the right balance of “projectizing” R&D while delivering tangible products and solutions on a resource-loaded schedule that can accommodate the exploratory high-risk/high-reward nature of R&D activities so important for innovation. We are currently implementing several changes in the ECP, something that is typical of most large projects transitioning from “startup” to “steady state.” First, some ECP positions need to be filled. ECP is fortunate to have access to some of the best scientists in the world for leadership roles, but these positions take time away from personal research interests and projects, so some ECP leaders periodically may rotate back into full-time research. Fortunately, the six DOE labs responsible for leading the ECP provide plenty of “bench strength” of potential new leaders. Next, our third focus area, Hardware Technology, is being expanded in scope and renamed Hardware and Integration. It now includes an additional focus on engagement with DOE and National Nuclear Security Administration computing facilities and integrated product delivery. More information on both topics will follow. Looking toward the horizon, we must refine our resource-loaded schedule to ensure delivery on short-term goals, prepare for our next project review by DOE (an Independent Project Review, or IPR) in January 2018, and work more closely with US PathForward vendors and DOE HPC facilities to better understand architecture requirements and greatly improve overall software and application readiness. ECP leadership is focused on preparing for the IPR, which we must pass with flying colors. Therefore, we must collectively execute on all research milestones with a sense of urgency—in about a year, we will all know the details of the first two exascale systems! Applications are the foundational element of the ECP and the vehicle for delivery of results from the exascale systems enabled by the ECP. Each application addresses an exascale challenge problem—a problem of strategic importance and national interest that is intractable without at least 50 times the computational power of today’s systems. Software Technologies are the underlying technologies on which applications are built and are essential for application performance, portability, integrity, and resilience. Software technologies span low-level system software to high-level application development environments, including infrastructure for large-scale data science and an expanded and vertically integrated software stack with advanced mathematical libraries and frameworks, extreme-scale programming environments, tools, and visualization libraries. Hardware and Integration points to key ECP-enabled partnerships between US vendors and the ECP (and community-wide) application and software developers to develop a new generation of commodity computing components. This partnership must ensure at least two diverse and viable exascale computing technology pathways for the nation to meet identified mission needs. The expected ECP outcome is the accelerated delivery of a capable exascale computing ecosystem to provide breakthrough solutions addressing our most critical challenges in scientific discovery, energy assurance, economic competitiveness, and national security. Capable implies a wide range of applications able to effectively use the systems developed through the ECP, thereby ensuring that both science and security needs will be addressed because the system is affordable, usable, and useful. Exascale, of course, refers to the ability to perform >1018 operations per second, and ecosystem implies not just more powerful systems, but rather all methods and tools needed for effective use of ECP-enabled exascale systems to be acquired by DOE labs. To close, I’m very excited and honored to be working with the most talented computer and computational scientists in the world as we collectively pursue an incredibly important and compelling national mission. I think taking the journey will be just as fun as arriving at our destination, and to get there we will need everyone’s support, talent, and hard work. Please contact me personally if you ever have any questions, comments, or concerns. The Exascale Computing Project (ECP) was established with the goals of maximizing the benefits of high-performance computing (HPC) for the United States and accelerating the development of a capable exascale computing ecosystem. ECP is chartered with accelerating delivery of a capable exascale computing ecosystem to provide breakthrough modeling and simulation solutions to address the most critical challenges in scientific discovery, energy assurance, economic competitiveness, and national security. This role goes far beyond the limited scope of a physical computing system. ECP’s work encompasses the development of an entire exascale ecosystem: applications, system software, hardware technologies and architectures, along with critical workforce development. Building an exascale computer—a machine that could solve complex science problems at least 50 times faster than today’s leading supercomputers—is a national effort. To oversee the rapid research and development (R&D) of an exascale system by 2023, the US Department of Energy (DOE) created the Exascale Computing Project (ECP) last year. The project brings together experts in high-performance computing from six DOE laboratories with the nation’s most powerful supercomputers—including Oak Ridge, Argonne, Lawrence Berkeley, Lawrence Livermore, Los Alamos, and Sandia—and project members work closely with computing facility staff from the member laboratories. ORNL IBM Summit supercomputer depiction. At the Exascale Computing Project’s (ECP’s) annual meeting in February 2017, Oak Ridge Leadership Computing Facility (OLCF) staff discussed OLCF resources that could be leveraged for ECP research and development, including the facility’s next flagship supercomputer, Summit, expected to go online in 2018. At the first ECP annual meeting, held January 29–February 3 in Knoxville, Tennessee, about 450 project members convened to discuss collaboration in breakout sessions focused on project organization and upcoming R&D milestones for applications, software, hardware, and exascale systems focus areas. During facility-focused sessions, senior staff from the Oak Ridge Leadership Computing Facility (OLCF) met with ECP members to discuss opportunities for the project to use current petascale supercomputers, test beds, prototypes, and other facility resources for exascale R&D. 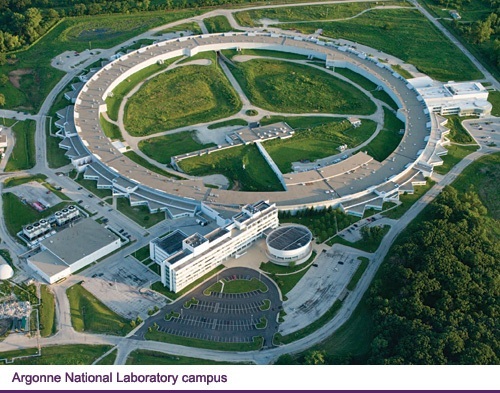 The OLCF is a DOE Office of Science User Facility located at DOE’s Oak Ridge National Laboratory (ORNL). ORNL has a unique connection to the ECP. The Tennessee-based laboratory is the location of the project office that manages collaboration within the ECP and among its facility partners. ORNL’s Laboratory Director Thom Mason delivered the opening talk at the conference, highlighting the need for coordination in a project of this scope. On behalf of facility staff, Mark Fahey, director of operations at the Argonne Leadership Computing Facility, presented the latest delivery and deployment plans for upcoming computing resources during a plenary session. From the OLCF, Project Director Buddy Bland and Director of Science Jack Wells provided a timeline for the availability of Summit, OLCF’s next petascale supercomputer, which is expected to go online in 2018; it will be at least 5 times more powerful than the OLCF’s 27-petaflop Titan supercomputer. ORNL Cray XK7 Titan Supercomputer. 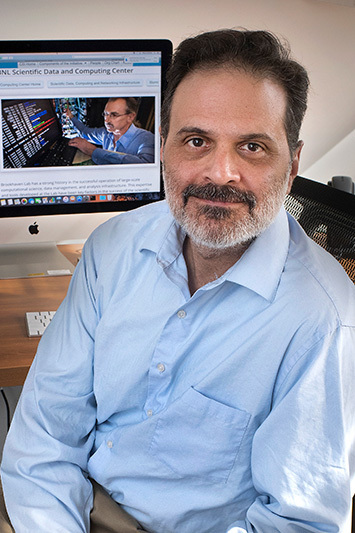 Wells said he was able to highlight the spring 2017 call for Innovative and Novel Computational Impact on Theory and Experiment, or INCITE, proposals, which will give 2-year projects the first opportunity for computing time on Summit. OLCF staff also introduced a handful of computing architecture test beds—including the developmental environment for Summit known as Summitdev, NVIDIA’s deep learning and accelerated analytics system DGX-1, an experimental cluster of ARM 64-bit compute nodes, and a Cray XC40 cluster of 168 nodes known as Percival—that are now available for OLCF users. 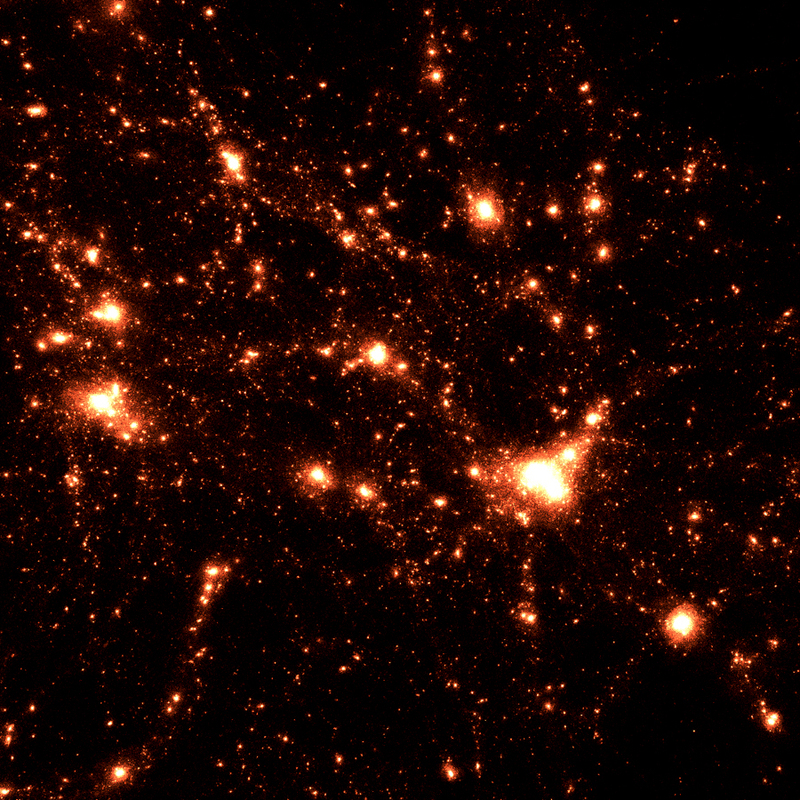 In addition to leveraging facility resources for R&D, the ECP must understand the future needs of facilities to design an exascale system that is ready for rigorous computational science simulations. Facilities staff can offer insight about the level of performance researchers will expect from science applications on exascale systems and estimate the amount of space and electrical power that will be available in the 2023 timeframe. “Getting to capable exascale systems will require careful coordination between the ECP and the user facilities,” Whitt said.